Ogólnopolski Związek Rewizyjny Spółdzielni Socjalnych (Polish Social Cooperatives Auditing Association) was established in 2007 to promote the social cooperative business model in Poland on behalf of its 135 members across all business sectors. Its main goals are the promotion and support of ideas of social cooperatives, activities for social and job reintegration, guarantee of help for members in their activities, cooperation and help with setting up social cooperatives. It also organizes trainings for workers and members of cooperatives, initiates social training, provides instructive and advisory publishing, cultural, and social educational activities, and initiates cooperation between cooperatives, science institutions and municipalities. It represents the interests of cooperatives that are members of PGRU towards governmental administration and municipalities, prepares reviews of social cooperatives, and provides many other activities to support social cooperatives. 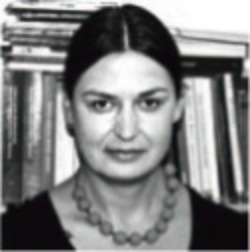 Malgorzta Oldak is doctor of Humanities in the field of Political Science (2011) and Associate Professor at the Institute of Social Policy, University of Warsaw, Director of the Postgraduate Studies: Social Economy Management. In 2009, she completed postgraduate studies in Academy of Evaluation of Socio-Economic Development Programmes at the Centre for European Regional and Local Studies of the University of Warsaw. Author of numerous publications concerning social policy, including social economy. She has been authorised Board member of the All-Poland Audit Union of Social Cooperatives since 2009. From 2009-2013 she was a member of the working group for education in the team for systemic solutions in the field of social economy and a coordinator of the research project titled „System for strengthening the potential and competencies of the social cooperative sector and establishment of the network of cooperation with labour market institutions and social assistance and integration” (2014-2015), co-financed by European Union Funding under the European Social Fund. Since 2015 she has been managing the project „Social Rental Agency in Poland” financed by the National Centre for Research and Development. She is Head of Post-Graduate Studies in Social Economy Management at the University of Warsaw.